Every year, thousands of babies are hospitalised following an accident with a toy. Some of these accidents could be avoided by removing toys that contain small parts, sharp edges and points, magnets, strings or cords. Any toy that is given to your baby, whether it is brand new, or second-hand, must not contain small parts that could present a serious choking hazard. If the item fits through a kitchen roll cylinder then it is not safe.  Does the toy meet the requirements of the Toys (Safety) Regulations 1995?  Is it securely made?  Is it non-breakable?  Does it have sharp edges? 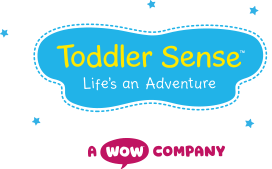  Does it have small or loose parts such as glass eyes, wheels, buttons, magnets or batteries, which could be life-threatening if swallowed?  Does it have parts that could pinch or trap little fingers?  Does it have strings or cords longer than 7 inches (18cms) that could cause strangulation?  Is it safe for mouthing?  Will it withstand excessive chewing?  Is the toy too loud (if held too close to your baby’s ears, it could damage hearing)? Ride-on toys, rocking horses, and bouncers can lead to accidents if your baby doesn’t have the physical skills to control them. Supervision is critical to keep your baby safe. Toys left on pathways, halls and stairs can lead to trips and falls. It is best to store them away safely when not in use. Putting too many toys in your baby’s cot can also lead to a fall. Your baby may use them to climb out of the cot. A cot full of soft toys can cause overheating or accidental smothering. Toys with long hair or fur can be a choking hazard. Toys stung across the cot could break and get wrapped around your baby's neck. Toys should always be removed from your baby’s cot during daytime naps and at night time. Plastic toys are fun, but if they are made of soft or squishy plastic they should be avoided. Excessive chewing or sucking can accelerate the release of potentially toxic phthalates (e.g. dibutyl, butyl benzyl, di-isononyl, formamide), which can interfere with metabolism, growth, and normal sexual development. Babies are particularly susceptible to chemicals because their brains and organs are still growing. The best advice is to buy toys that are phthalate-free. To be on the safe side, check that toys do not contain finger traps, magnets, buttons, beads, small parts or sharp points that could present a serious safety hazard. An accident can be easily prevented by moving them out of your baby’s reach. Second-hand toys may not meet the current safety standards and should not be given to your baby. Toys designed for older children such as calculators, video games and singing cards contain batteries, which if ingested, can adhere to internal tissues and leak dangerous chemicals. If two or more magnets are swallowed, they may attract each other through the walls of the intestine causing twisting and pinching of the gut, blockages, and infection. Painted second-hand toys made before 1978 may contain traces of lead. Although lead is toxic to everyone, babies are at the greatest risk. Unsafe levels of lead in the blood can reduce the ability of the red blood cells to carry oxygen to the brain and reduce the absorption of calcium, which is essential for growing bones and muscle contraction. Lead poisoning can also damage the nervous system and lead to hearing, speech and language problems later on. In 2005, restrictions were imposed on the use of phthalates in products designed for babies. However, they may still be present in toys designed for older children. Because they remain freely mobile in plastic, phthalates may leech when babies squeeze, chew and mouth them. Always err on the side of caution and discard the toy. Other products that pose a serious risk to babies if swallowed include plastic wrap and Styrofoam, which cannot be dislodged during emergency first aid treatment. Most toys are actually very safe. Even so, a few may slip through the regulatory loopholes, only to be recalled when a problem is discovered. If you have doubts about the safety of a toy, carry out an online search to ensure that it is not a recalled product. Check that the toy bears the European Toy Safety Directive CE mark, or the British Toy and Hobby Association Lion mark.  Look for phthalate-free or ‘PVC-free’ labels on plastic toys.  Avoid plastics with the number 3 (#3) in the recycling triangle.  Avoid polystyrene (#6) and polycarbonate (#7) products which are made from bisphenol A (BPA).  Avoid giving your baby soft plastic toys designed for older children: they are more likely to contain phthalates.  Contact the manufacturers directly to find out if a product is chemical-free. Finally, keep an eye on your baby when visiting friends and relatives. Their homes may not follow the same safety rules as yours.